I am Vince Thomas the developer of this revolutionary spraying inventory system. PARKS Pro was built with large needs and small budgets in mind. I have been in the spraying business for over ten years, both as a county weed supervisor and a private applicator in Montana. If there were problems to be had, I ran in to them. We first set out to make a record keeping system that would not only keep daily records, but would do billing as well. What has come out of this venture is PARKS Pro (formerly known as SprayOps 5). I feel this is the best overall spray record keeping software going. This saves hours in time spent summarizing year-end reports. Estimates for software customizations are also available. Next came the need to be able to use GPS/GIS technology while not having to mortgage the farm at the same time. The need for being able to GPS at the same time we were spraying, not only seemed a dream, but how do you train crews to GPS what they are spraying, when it was hard enough to find help that could shift a four speed? The Datalogger makes it a breeze!! All the crews have to do is turn it on and go to work. At the end of the day just download the data and let the I-Gage All Topo Maps do the work for you. Enter you daily applications in the system and the work is done. Affordable, record keeping and inventory made EASY!! 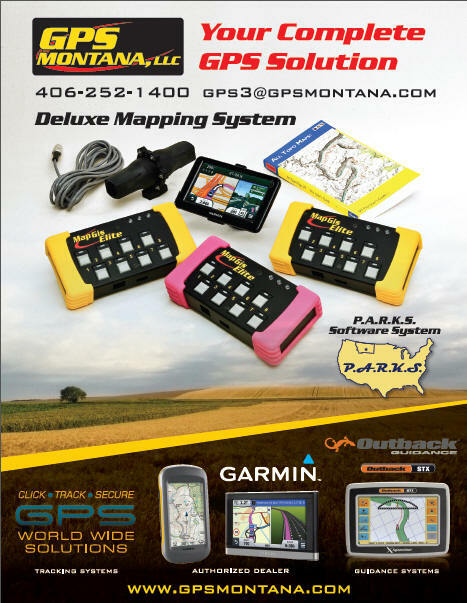 We chose to use Garmin GPS receivers because many of our customers already owned them, saving you money by not duplicating equipment. If you’re like me, you run sprayers on a variety of equipment/vehicles. The Datalogger installs easily and works with any 12-volt system. I have it installed on Trucks, ATVs and Backpack sprayers! I think you will find this to be the one tool you wont want to be with out! For more information please email me or call 406-351-1124.